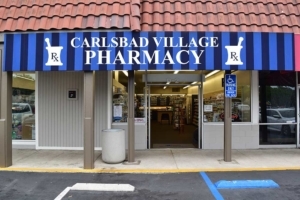 Carlsbad Village Pharmacy is a full service pharmacy…just like CVS/Walgreens/Rite Aid…but with a personal touch. We accept almost all major insurances including Medicare, Medi-cal, and commercial plans. For our cash paying patients, you will find our prices to be extremely competitive and most of the time we can match, or beat our competitors prescription prices.